Very sweet story. Loved every chapter and I did not roll my eyes, huff or feel annoyed toward any characters in the book. I laughed, I cringed. I sighed. And I got teary eyed, then sighed again. This story is fantastic and filled with so much emotion. I want to go to the town named Christmas and meet these people. Debbie Mason creates fantastic story line filled with all kinds of emotion. I loved Debbie Mason’s character Skye. I have read too many books that made me feel that no author could capture the essence of being independent without being a total mouthy drama queen. I have read so many stories that the character is overly bossy, controlling, loud mouth, obnoxious, rude, can’t let go (oh because they were hurt one time), takes everything to the extreme and never really sees her faults until it’s too late, but then it is never too late. Skye is a great character that author has created. The story line flows with emotion. The rest of the characters are equally created. Debbie Mason has truly painted a picture of each character with her words. 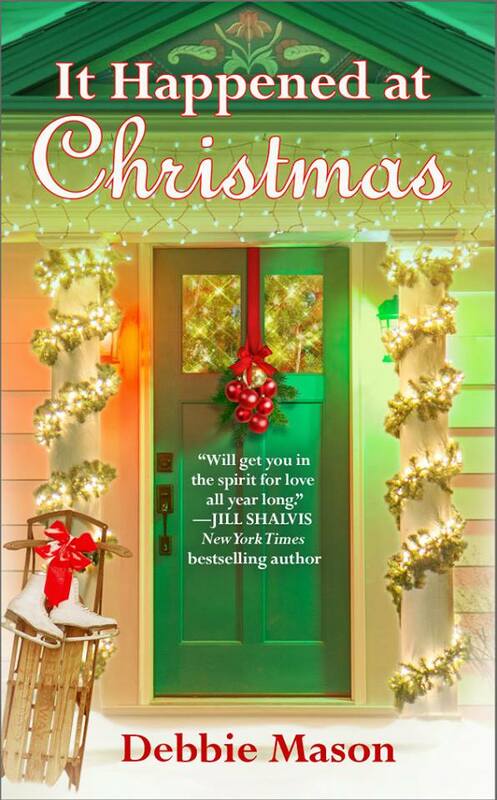 I would love to see this book brought to TV as Hallmark or Lifetime movie for the holidays. This book is the first book I have ever ready by Debbie Mason and I enjoyed every moment of the story. I look forward to reading more from Debbie. My mission is to hit the store and find the other books that relate with this story that came out first. ed every moment of the story. I look forward to reading more from Debbie. My mission is to hit the store and find the other books that relate with this story that came out first. every word from start to finish. I look forward to reading many more of her books.